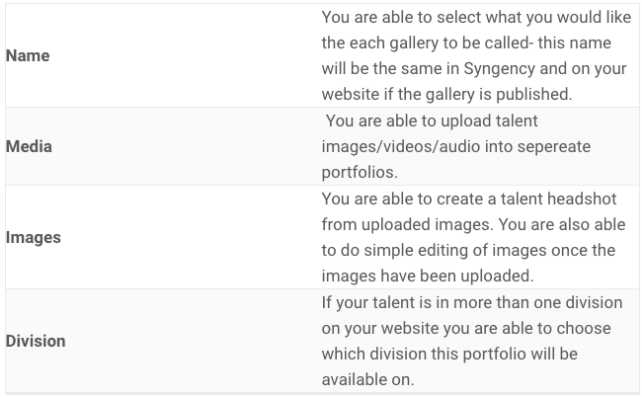 Galleries is where all the talent images/videos/audio are stored and uploaded. 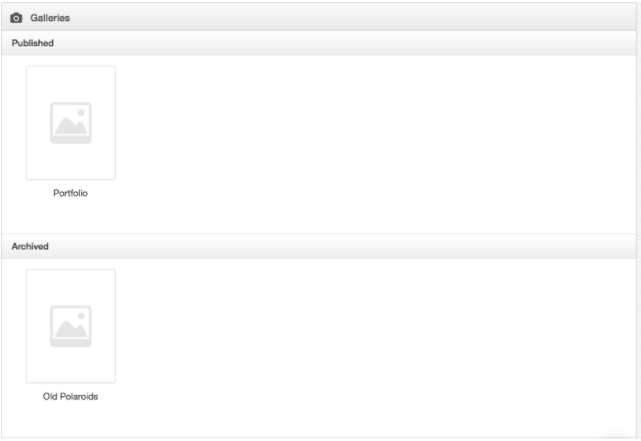 You are able to publish or archive the media from here. 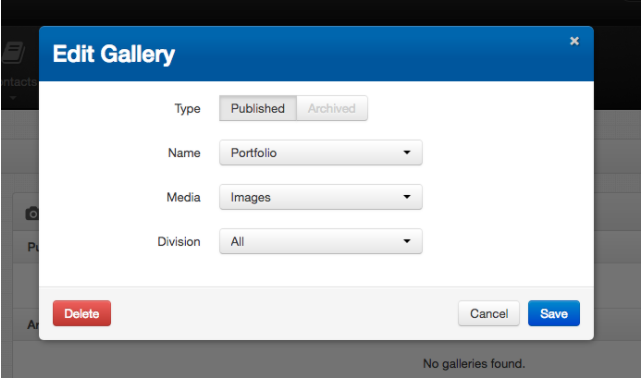 Archived galleries is for media that you wish to have accessible in Syngency but not available on your website. 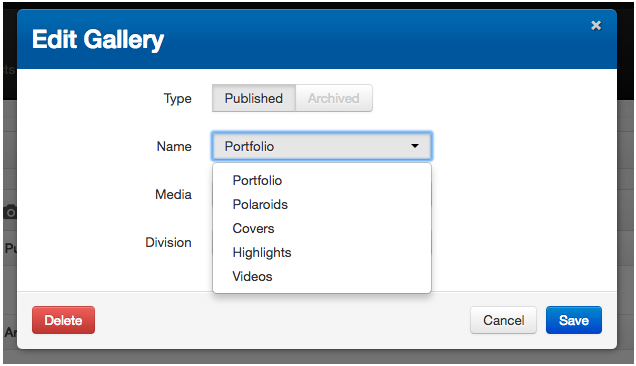 Archived galleries are able to be sent to clients by adding them to packages. 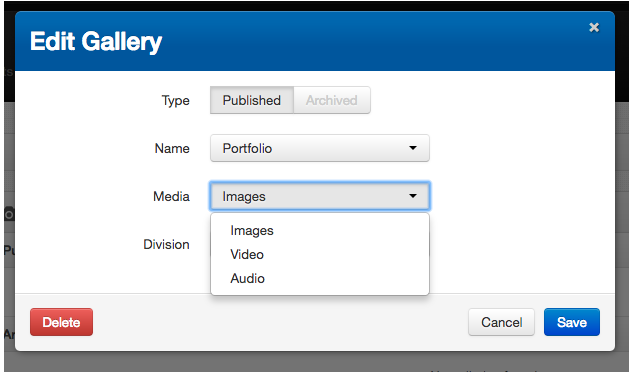 You can archive/publish galleries at any time.